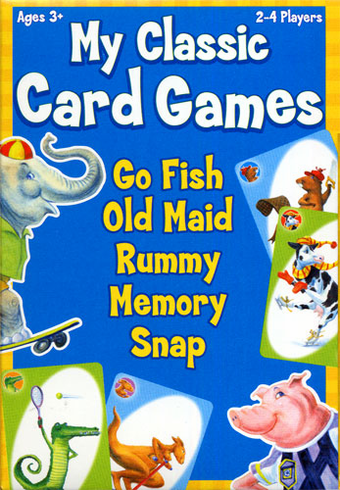 With My Classic Card Games you can play Go Fish, Rummy, Old Maid, Memory, and Snap all in one container! These games come on colorful playing cards and each game can be played in about 10 minutes which makes for quick easy play. A great game for kids and the whole family!